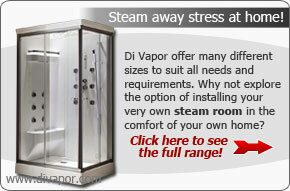 As a supplier of steam showers, shower enclosures and whirlpool baths, the Di Vapor sales team are often asked how difficult it can be to keep their new units clean. Providing you're cleaning your bathroom on a fairly regularly basis, you'll be able to enjoy a clean shower enclosure or bath each time you come to use it. 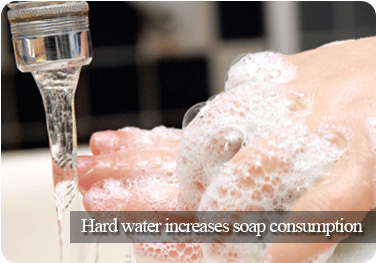 But cleaning regularly sometimes isn't enough when it comes to hard water. Even with regular cleaning water marks, lime scale and scum can still be found in bathrooms across the United Kingdom. This is an after effect caused by the water hardness of the mains supplied water in your area. Water hardness differs depending on where you are located in the UK, with the majority of the south east suffering from harder water. Hard water contains high levels of dissolved chalk, lime, magnesium sulphates and other minerals responsible for the stubborn water marks you'll find on your glass shower enclosure and whirlpool bath. Rainwater although naturally soft in its fallen form sometimes percolates through chalk and other limestone like materials, quickly amassing the properties of hard water. As mentioned above, the obvious effects of hard water can be seen through white marks on your shower enclosure, scum stains around the edge of your bath, and in some cases the malfunctioning of your thermostatic valve. Minerals and sulphides found in hard water are found to settle whenever they are heated or left to settle and evaporate. You may also find that hard water makes it difficult to create a good lather whilst you're in the shower, resulting in higher soap consumption. A dishwasher may not deliver flawless results on glasses or china, which sometimes requires a second cycle. 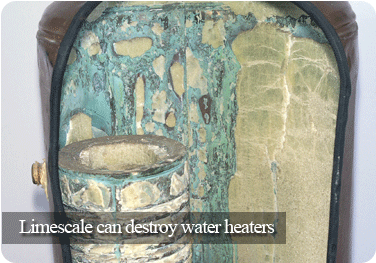 Hard water can prove costly in more ways than one, whether it means using and buying more soaps and detergents, or paying for costly repairs on your homes immersion boiler system. These minerals can also prove to be costly when they settle on the internal workings of white goods, shower enclosure outlets, and kettles. Hard water can also cause commercial water machinery to develop faults earlier than expected, drastically reducing the lifetime of the expensive equipment. 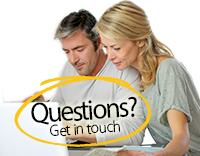 Do you suffer from a hard water supply? According to recent figures from Severn Trent Water (http://www.stwater.com) approximately 60% of homes across the UK are supplied with hard water with central, eastern and southern counties bearing the highest levels of hard water. Some cities such as Birmingham in the West Midlands can benefit from naturally soft water from Wales and the Lake District, but supplying the entire nation with naturally soft water simply wouldn't be cost effective. The map shown below gives an overview of the hard water levels across the UK. Scotland, Northern Island and the majority of Wales benefit from naturally sourced soft water from river sources, high lands and reservoirs. How is water hardness calculated? Water hardness is calculated by measuring the naturally occurring amount of calcium and magnesium compounds found in the water at source. Water containing a small amount of these salts and minerals are said to be "soft water" whereas greater levels result in harder water. 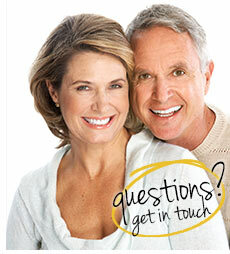 There are also two types of water hardness, temporary and permanent. Temporary hardness is caused by a high level of calcium carbonate found in the water, which results in the white marks that you'll find in your shower enclosure or bathtub. Permanent hardness contains high levels of the sulphates found in calcium and magnesium which stay soluble when heated. How can I reduce my water hardness? If you suffer from a hard water supply, you can install a domestic water softener to help reduce the high levels of minerals and sulphates in the water. Installation is reasonably priced, but on-going costs for new filters and maintenance should be considered in your buying process. Your water company is responsible for supplying clean and safe drinking water, so it's up to you to decide whether artificial water softening is something you want. Most commercially available water softeners work by replacing the high levels of calcium and magnesium sulphates found in the water with sodium. This is done through altering the chemical composition often affecting the feel and taste of the water. As a general rule of thumb, it's wise to install a water softener to supply a small area of your home to see if it's something you enjoy. If you do decide to fit a water softener on your entire house's water supply, it's important to keep one mains fed tap available for drinking water and cooking preparation. The high levels of sodium may not be suitable for those looking to reduce sodium levels of young and new born children. Please note: Di Vapor is not responsible for the views, opinions or advice represented in the articles on this site. If you plan to use a steam room for any health program or suffer from any illnesses then you are advised to consult with your doctor before use. Copyright © 2006-19 Di Vapor.